The WRV team and volunteers work on the basis of shared values: love of nature, healing, building community, education, empowerment, tangible results, and celebration. Wildlands Restoration Volunteers offers unpaid internships in organizing restoration projects, volunteer management, marketing, fundraising, site monitoring, and more. Get the experience you need for your environmental career. 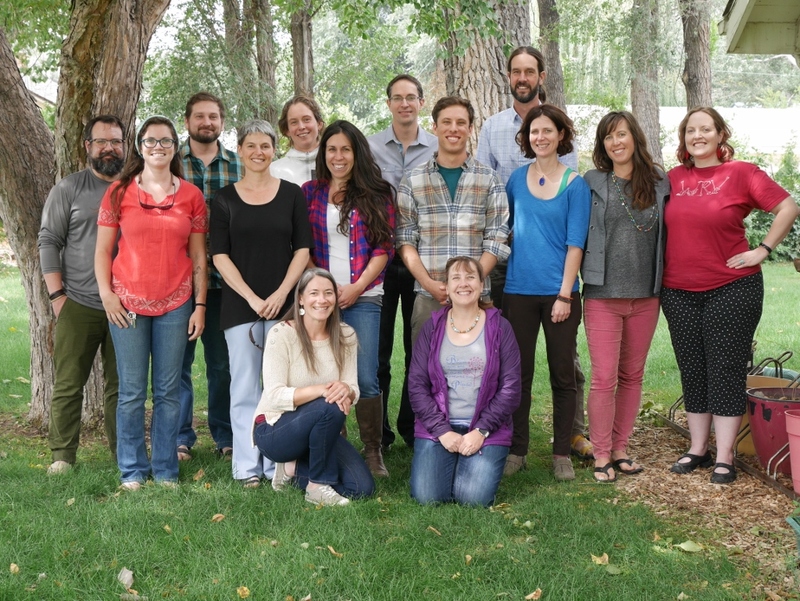 Please contact Amy Ansari at amy@wlrv.org for a Boulder-based internship and Annemarie Fussell at annemarie@wlrv.org for a Fort Collins-based internship. The Board of Directors of Wildlands Restoration Volunteers is pleased to introduce Katherine Thompson as the new Executive Director, effective August 1, 2018. This selection is the culmination of a process which began last May, when WRV’s founder Ed Self shared his intention to transition out of his role as Executive Director. Since then, the Board of Directors and WRV staff have gone through a thoughtful and thorough process to ensure that our next leader is the right person to lead WRV forward. We are very excited to have found just the right fit with Katherine. Since 2006, Katherine has led The Nature Conservancy’s community-based conservation work, first on Hawaii Island and, more recently, in the Greater Yellowstone Ecosystem. Her work has involved bringing diverse partners together to implement shared solutions to conserve big game migration corridors, improve water quality, and enhance habitat for native birds, among other things. She holds a master’s degree in Botany from the University of Hawaii and previously worked with the U.S. Geological Survey in science communications. Katherine and her husband are raising two daughters, ages 6 and 11, and enjoy river sports, skiing, playing music, riding bikes, and reading. “I am incredibly honored to have the opportunity to advance WRV’s mission to care for the land while strengthening our communities. I am deeply passionate about the mission and thrilled by WRV’s potential to achieve it. I look forward to engaging the community in WRV’s next chapter,” says Katherine. We are grateful for Ed’s longtime leadership, which has positioned us for such success, and we are excited for what comes next for WRV. We feel fully confident that WRV is entering an exciting and promising new moment, and we appreciate the continued support and investment from our community. Combining a background as a research biologist with extensive experience in non-profit senior management, Kevin works to ensure the programmatic and operational success of Wildlands Restoration Volunteers as Director of Programs. He holds a Ph.D. in Interdisciplinary Biological Sciences from Northwestern University and has led multiple non-profits through significant expansion periods with nationally significant results. For seven years he served as Executive Director of the Boulder Philharmonic Orchestra, where he developed an indoor/outdoor “Nature & Music” series with several land management agencies that was featured as a national model for community engagement by the Kennedy Center in Washington, DC. He’s never met an Excel formula he doesn’t like, and he knows his way around a French horn. 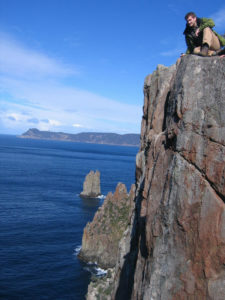 In his spare time, he loves backpacking, traveling, and dabbling in foreign languages. Sarah Egolf-Tarr is WRV’s Development Director who energizes members and foundations to support WRV’s work by writing annual appeals and grants and coordinating fund-raising events. 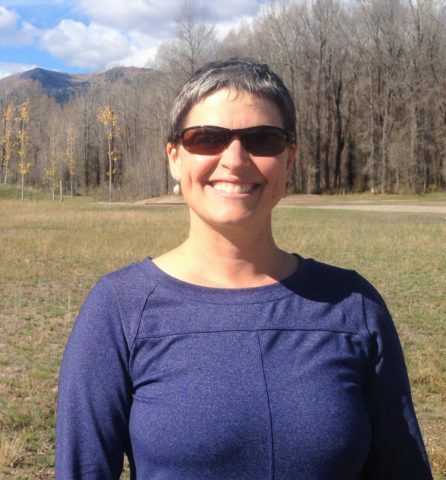 Sarah is passionate about preserving and restoring wildlife and wildlands in the Rockies. 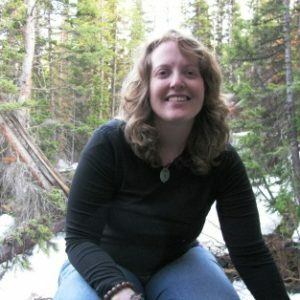 Her fascination with the natural world dates back to her childhood in the Medicine Bow-Routt National Forest, and was further developed through a college field studies program in the southwest, followed by her work at the Rocky Mountain Herbarium and Biodiversity Conservation Alliance in the state of Wyoming. Sarah graduated with Honors from Earlham College with a Bachelor’s degree, and brings her extensive experience with non-profit leadership and volunteering to WRV. When not at work, Sarah enjoys West African dance, board games, and hiking. Kate Lunz serves as the Grants Manager for WRV and spends her time researching new funding sources, assisting staff to ensure all grants deliverables are met, and seeking out collaborations to further WRV’s restoration mission. A former coral biologist, Kate recently relocated from Florida in search of a new adventure. Kate is originally from Atlanta and developed her interest in ecology and restoration by monitoring water quality of urban streams in high school. She received a B.S. in Ecology from the University of Georgia, and a Ph.D. in Biology from the University of Miami. Grant writing skills were honed during her tenure as a postdoctoral fellow with the Smithsonian Institution and as a research scientist for the State of Florida. Kate enjoys exploring her new environs with her family, cooking, reading, and crafting with her kiddos. Kelly’s work history has always been deeply rooted in nonprofits. 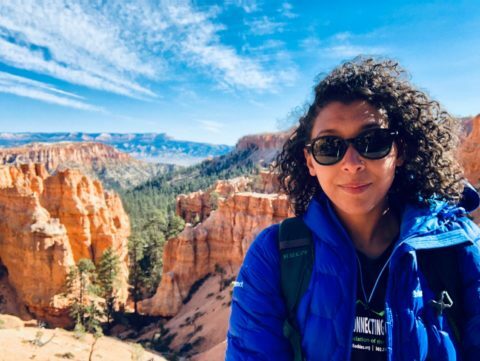 After graduating from the University of Pittsburgh with a degree in Finance, she headed west as an AmeriCorps VISTA on the White Mesa Ute Reservation. Prior to joining WRV, Kelly was the Senior Accountant for the National Sports Center for the Disabled as well as Highland Apartment Homes, a low-income senior apartment building. Kelly has been managing WRV’s finances since 2010 as the Controller. She has watched it grow from a small nonprofit with a half a million in assets to a million in assets at the end of 2017. Kelly is passionate about WRV’s mission of engaging volunteers to heal the earth and enjoys working with the team behind the scenes to ensure that WRV can fulfill its mission. When not at work, she enjoys camping, yoga, and riding her mountain bike. Melinda first came to WRV as a volunteer seed collector and just can’t seem to get enough. She proceeded to volunteer on many trail restoration projects and weed removals and felt that she had more to contribute. After being a full-time mother for 16 years and knowing that the home-front is under control, she is finally putting her Economics degree to work and is now working for WRV as a part-time Finance Assistant. In her spare time Melinda loves hiking, biking, skiing, snow showing, kayaking, and volunteering on WRV projects. Annemarie (Am) is excited to serve as the Community Relations Coordinator in the Ft Collins office. Growing up in New Jersey camping in the Eastern woods with her parents, she truly fell in love with the outdoors and found her calling in life. After attaining a BS in Wildlife Biology from CSU and with a background in volunteer coordination, trail restoration and science/public policy education, Am is delighted to support our volunteers and restoration efforts. Before moving back to Fort Collins from Summit County, Colorado, she traveled through Patagonia, Western Europe and the Southern Rockies living on her bike for months at a time. Now she spends her time focusing on a sustainable lifestyle commuting by bike, volunteering and vegetable gardening. As a kid growing up in Columbia, South Carolina, Rachel found her happiest days and closest friends away from the city, wandering around in the Blue Ridge Mountains at summer camp. Twenty years later, she comes to WRV with a wide range of experiences working with young people in the outdoors. She has an M.S. 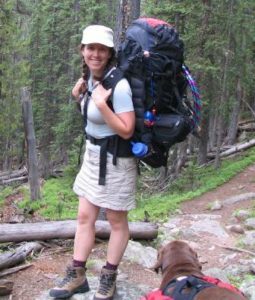 in Environmental Education from Antioch University New England, and she has led backpacking and sea kayaking expeditions, directed a sustainability service-learning program, run an after-school program, and taught high school science and social studies classes. Rachel is especially passionate about engaging youth who haven’t had the chance to experience the self-confidence and wonder that experiences in nature can engender. When she’s not working, Rachel spends her time backpacking, running, gardening, and playing with her two young children. 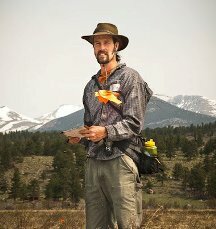 Nate oversees WRV’s Trails Program as well as a portfolio of ongoing ecological restoration projects throughout the Northern Colorado and Wyoming region. He spends his days recruiting and training volunteers, coordinating restoration projects, and trying to convince people that stacking large rocks is as much fun as he thinks it is. 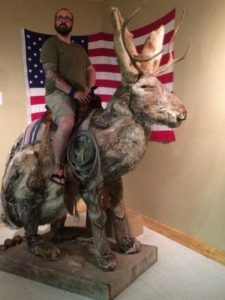 Nate’s first foray into the restoration world was his participation in a tall grass prairie restoration in his hometown in Kansas when he was 14. After completing a number of undergraduate degrees, some time overseas, and a few misguided attempts at profitable careers, he returned to his true place in the world of experiential education, ecology, and restoration. 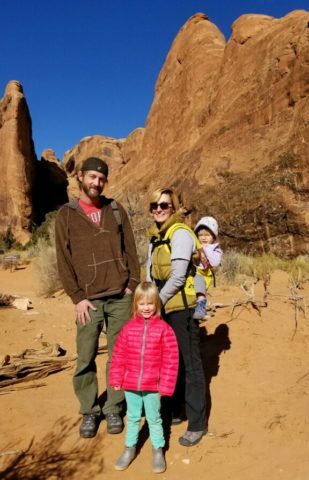 Since moving to Colorado, Nate’s been a ski bum, worked with at-risk youth, facilitated wilderness therapy, lead Youth Conservation Corps, and taken up studies at CSU in Rangeland Ecology and Restoration. He’s currently also serving on the Pawnee Byways Committee and on the board of the Coalition for the Poudre River Watershed. A young family occupies much of Nate’s free time, but he still finds time to indulge his other interests including sustainable local food production, wilderness medicine, and zombie movies. 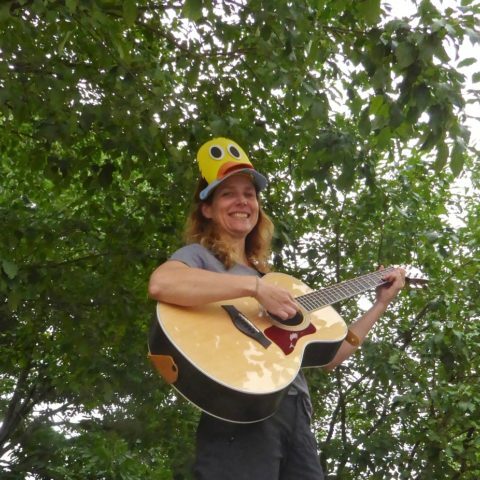 Amy wears many different hats at WRV. As a Program Manager, she oversees all of the local seed collection projects throughout the Front Range. Amy has many years of experience working in the natural resource field and as volunteer coordinator for various non-profit organizations and government agencies. While finishing her M.S. in Environmental Sciences at the University of Nevada, Las Vegas, Amy worked as a volunteer coordinator for the Get Outdoors Nevada program. It was there she decided to devote her career to working for organizations dedicated to empowering volunteers to help restore public lands. Outside of work, Amy spends her time rock climbing, mountain biking, and attempting to teach her dog Shadow not to hide bones in the cushions of the couch. Morgan joined WRV in 2014 following eight years as a volunteer. She has now stepped up to fill the position of Program Manager for both the Invasive Weeds Program and the southern unit of our Restoration Program. 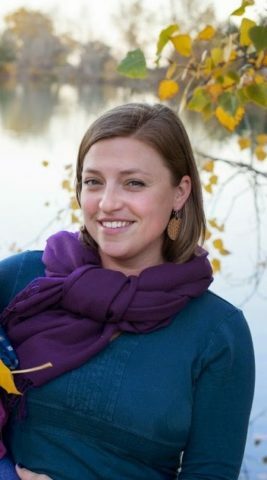 Combining on-the-ground leadership experience with WRV, several seasons with the City of Boulder in habitat restoration, a Master’s in Landscape Architecture, and a fiery passion for the mission and work of WRV, Morgan’s focus includes facilitating the growing Myrtle Spurge Coalition and coordinating with the agency partners. Morgan has been wandering the local hills for 18 years getting to know the plants, animals, and minerals therein and can often be found doing that or moongazing, baking, fortune telling, writing, crafting, or drinking coffee in a local cafe. William began working for WRV in June 2017, coming with over 10 years of experience in the environmental sector. After getting his degree in Ecology at CSU, he got lost in Southeast Asia for a couple years, getting paid to SCUBA dive and hike through the Himalayas. 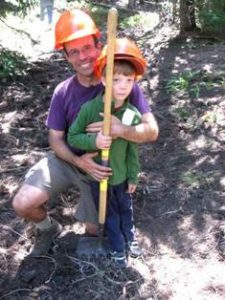 After finally finding his way home, William began working as an environmental contractor and consultant, taking on a wide range of projects including forest restoration, mine reclamation, river/stream stabilization, disaster response, and wetland banking. He has participated in ecological projects located in over 10 U.S. states and 5 countries. Colorado remains his favorite place in the world. Volunteer since 2013, Crew Leader, Project Leader, Sawyer and veteran of the Brainard Lake Saga, Geoffrey is a versatile fellow. He first joined WRV’s Fort Collins staff, then transferred to the Boulder office to help manage large-scale flood restoration efforts as well as trail projects in Colorado’s high country. Previously, Geoffrey coordinated projects throughout the U.S. for a power grid inspection firm. Fun facts about Geoffrey include: he’s a not quite subtle Star Wars nerd; he helps to organize events at Denver Comic Con; and he practices hard to be a more educated beer connoisseur. Geoffrey holds a degree in Developmental Biology from MSU, studied Political Science at Rutgers, has tattoos from 12 different artists, and makes a damn fine pie. 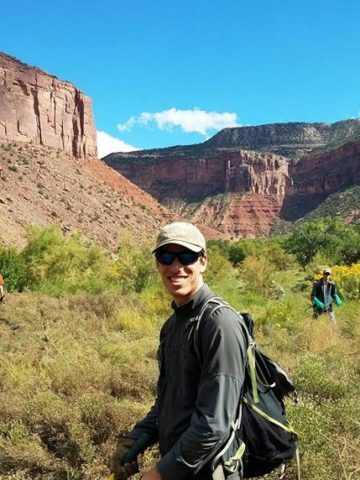 A Boulder native, David started volunteering with Wildlands Restoration Volunteers when he was 12, and became a crew leader and a member of the Youth Steering Committee when he was 16. He went on to earn his Bachelor of Science in Ecological Restoration from the University of Montana. After graduation, he returned to Boulder, and came back to WRV to continue pursuing his passion for restoration. 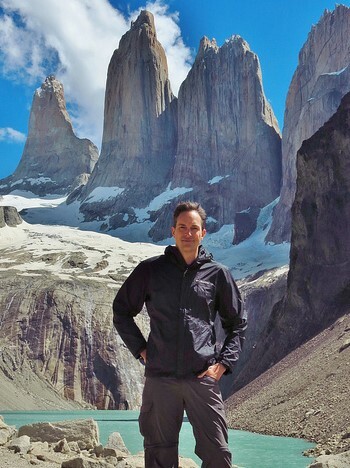 In his spare time, you can find David hiking, mountain biking, backpacking, or in the kitchen trying a new recipe. 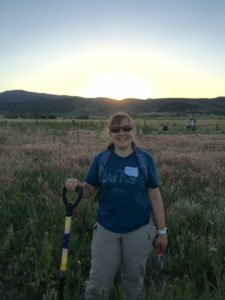 Erica Cooper manages seed collection projects across the Front Range as WRV’s Native Seeds Project Coordinator. She joined in 2018 after many years as staff liason with partner organizations Boulder County Parks and Open Space and Synergy Ecological Restoration. Her seed collection experience spans all plant life forms and elevations, working with volunteer, staff, corporate, and youth crews as collectors. 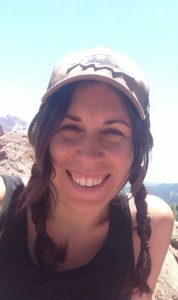 Erica currently serves as the Boulder Chapter President of the Colorado Native Plant Society and sits on their state Board. Erica holds a BS in Environmental Science from the University of Notre Dame and has also worked in central Indiana and coastal Georgia. In her free time, Erica loves to knit, garden, hike, and chase after her two small children! After five years, Taylor is finally coming to terms with the fact that she can’t stay away from WRV. She began volunteering with the organization as a Natural Resource Management student at CU-Boulder in 2013. Since then, she’s spent two years on staff as the Volunteer Manager at WRV, and two years as a federal wildland firefighter for the US Forest Service on the Inyo National Forest in Mono Lake, California and the Arapaho-Roosevelt National Forest in Nederland, Colorado. 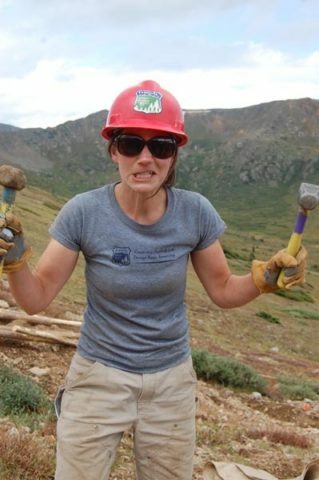 Now, she’s back at the WRV Boulder office in a hybrid Outreach and Restoration Project Coordinator role. As Outreach Coordinator she works to connect and grow the WRV community. As Restoration Projects Coordinator, she manages all manner of restoration and youth projects. When not at work, you’re likely to find Taylor on a trail, at the climbing gym, or hanging out on the patio of the nearest brewery. She also just purchased a sweet pair of rollerblades that she intends to use as a primary mode of transportation. Growing up in Fountain, Colorado, Jackie has always been a lover of nature and the outdoors. During one of her summers in college she participated in the Rocky Mountain Field Institute’s Earth Corps Program for six weeks across the state. This is where she found her passion for the outdoors and conservation. 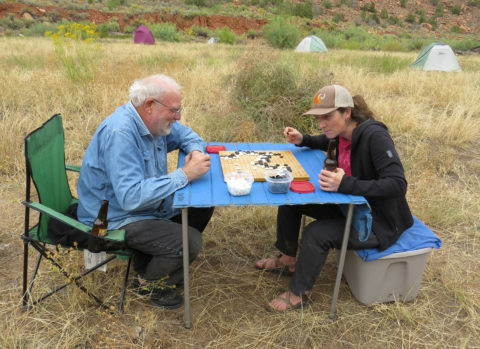 After graduating from the University of Denver with a degree in Environmental Science, she began her natural resources career path at Roxborough State Park. 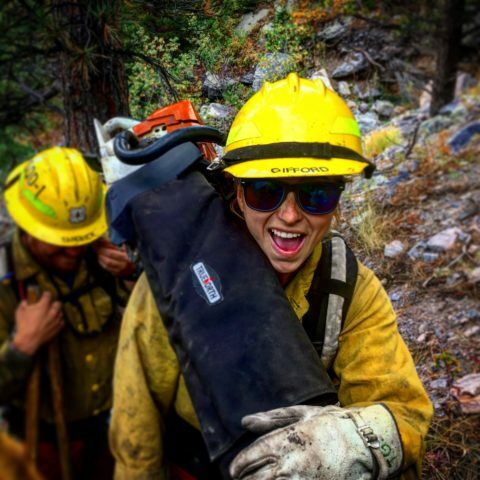 After her season ended, she found her way to Mile High Youth Corps (MHYC) and completed an AmeriCorps term of service as an Assistant Crew Leader leading crews in various conservation, restoration, and forestry projects. Following her term of service, Jackie continued with MHYC as their Administrative and Outreach Associate. Most recently Jackie worked with Volunteers for Outdoor Colorado as a Seasonal Project Manager handling trail construction projects across the Front Range. Outside of work Jackie loves hiking and camping, yoga, cooking, board games, lounging on the couch with her dog, and being the best plant mom she can be. Ed Self is the Founder of Wildlands Restoration Volunteers and served as Executive Director for 19 years. He has a Master’s Degree in Volunteer Program Management with an emphasis on ecological restoration and environmental education. Ed’s Master’s thesis looked closely at the wide range of benefits that communities and individuals derive from involvement in habitat restoration work, and included a nation-wide survey of over 300 Forest Service employees involved in community-based restoration projects. Ed has been a community organizer for over 20 years. He started a community garden in Boulder, which continues to thrive after 15 years. He’s been a volunteer naturalist, outdoor educator and avid volunteer. His former career was as electrical engineer and software developer.